Day tours of Pompeii & the Amalfi Coast from Sorrento or Naples. These tours can also be booked as cruise ship excursions departing from the port of Naples. 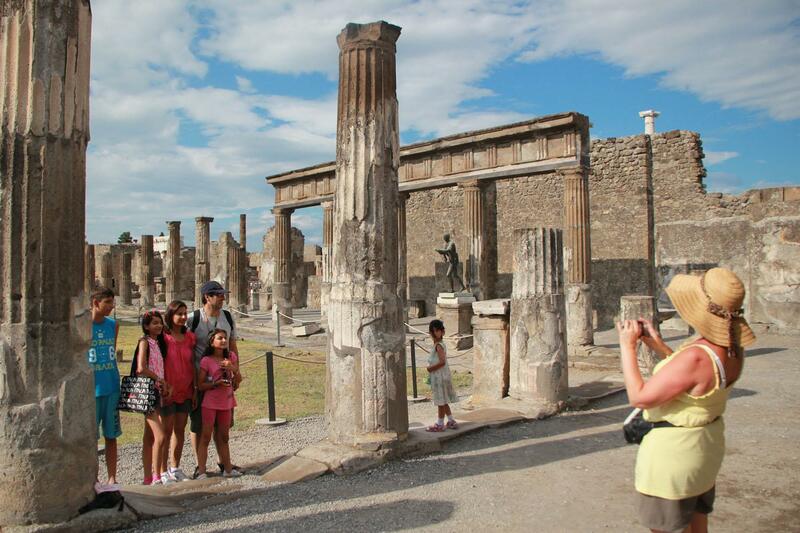 In one glorious day enjoy exploring the Amalfi Coast and the Ancient ruins of Pompeii. 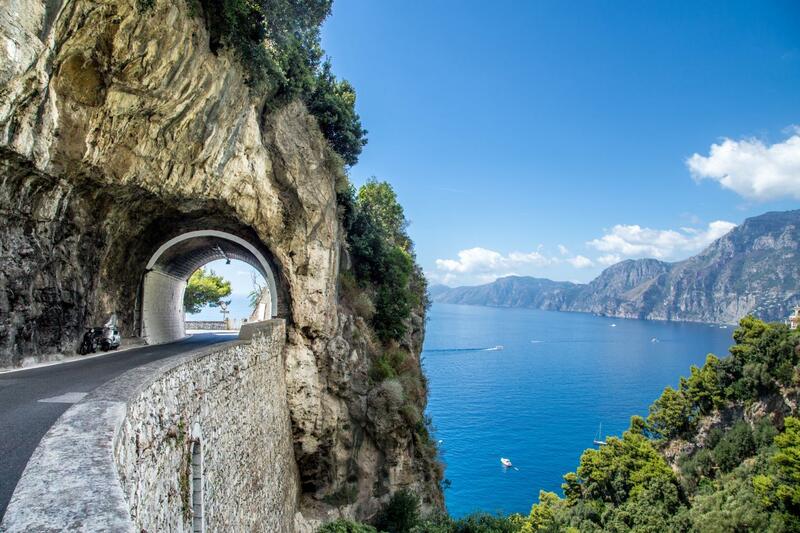 Travelling in an air-conditioned Mercedes (or similar make) vehicle with a driver and an expert English-speaking guide at your disposal for eight-hours, enjoy walking tours of Ancient Pompeii, Positano & Amalfi on our popular day tours or shore excursions from the port of Naples. 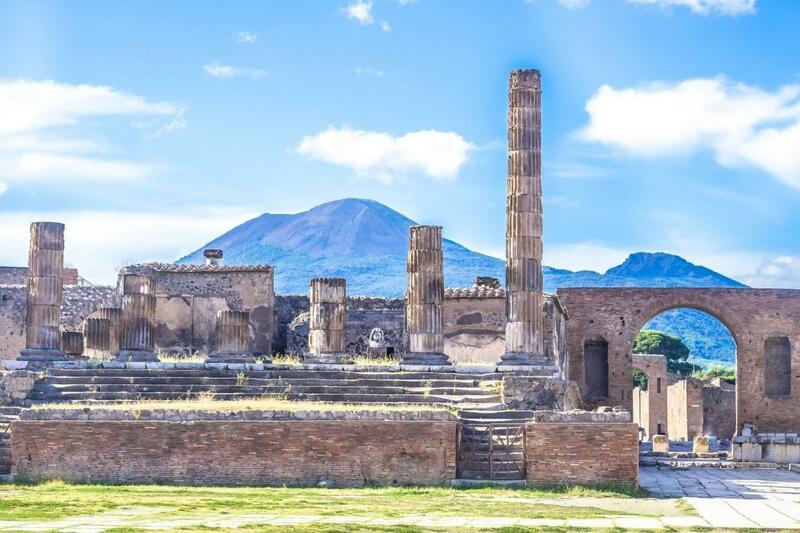 Your day will begin with a visit to the Ancient ruins of Pompeii where you'll see all the must-see sights of this huge archaeological site in the company of your expert guide. 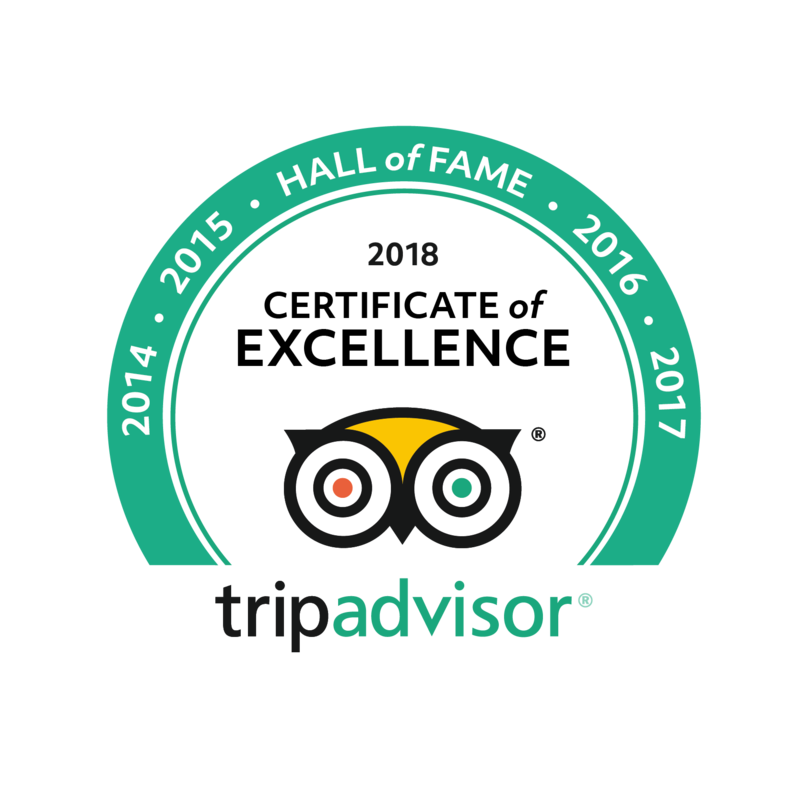 On your Private walking tour of Pompeii visit the interiors of the homes of Pompeii's wealthier citizens; Ancient street cafe's where locals dined and where you'll learn about traditional Roman cuisine; and the amphitheatre where we'll discuss the Gladiators and the events staged in the arena. As well as enjoying numerous anecdotes about life in Pompeii that will include some of the Graffiti dating back to Roman times that are still visible throughout the ruins. After learning the secrets of Pompeii, our day tours of Pompeii & Amalfi will continue with a scenic drive to Positano and the Amalfi Coast. 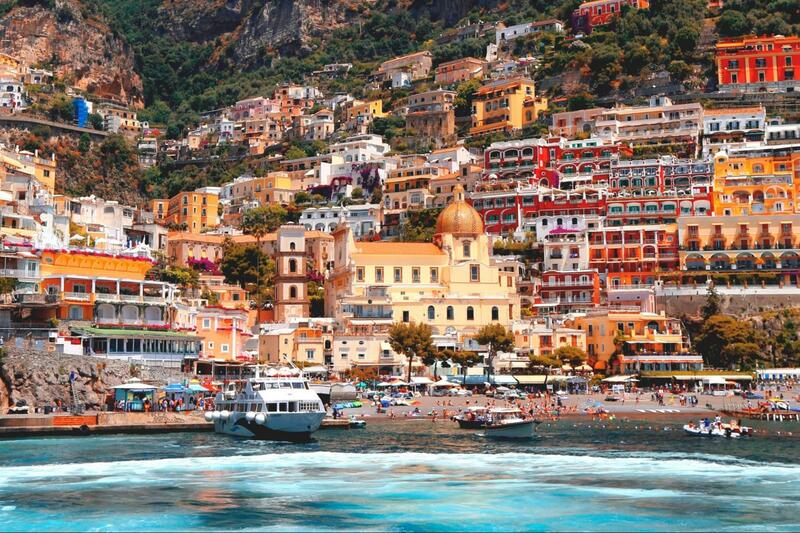 Nestled between mountains, clinging to the hillsides above sandy beaches and the Mediterranean sea, Positano enjoys an idyllic setting that typifies the seductive charm of the Amalfi Coast. As you walk along its narrow streets lined with fashionable boutiques and adorned with bougainvillea you'll quickly realize why this resort is so popular with the jet-set. 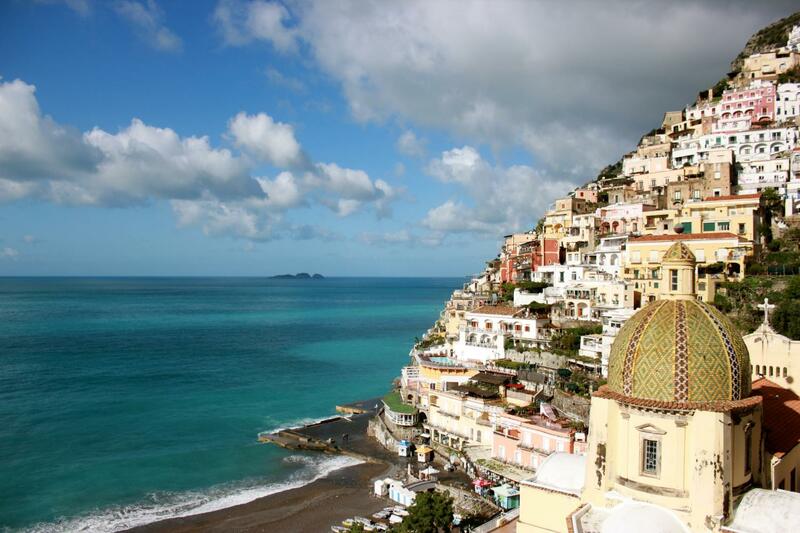 Visit the Ancient fishing port and the delightful Santa Maria Assunta Church as you enjoy a guided walking tour of Positano. 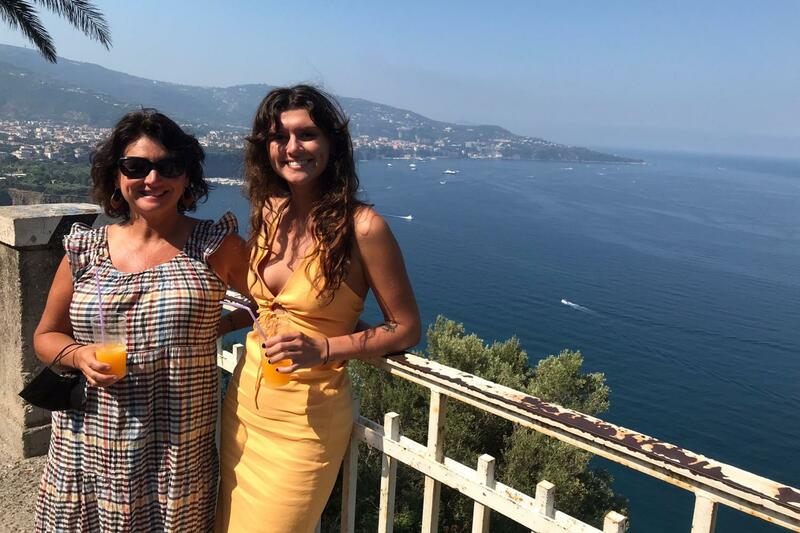 In Positano, you'll have the opportunity to enjoy an optional lunch at a recommended restaurant with superb views of Positano and the coastline. 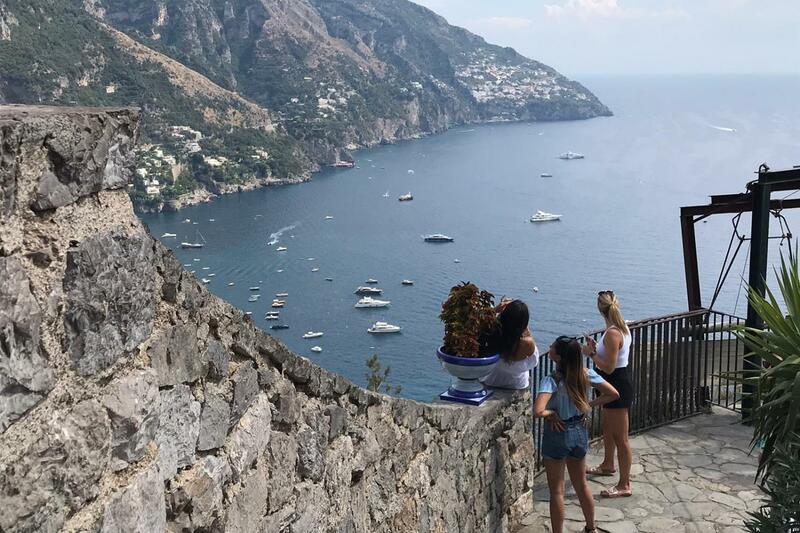 Then, our day tours of the Amalfi Coast continue with a scenic drive along the famous Amalfi Coast Road to enjoy several photo-stops prior to arriving in the town of Amalfi. 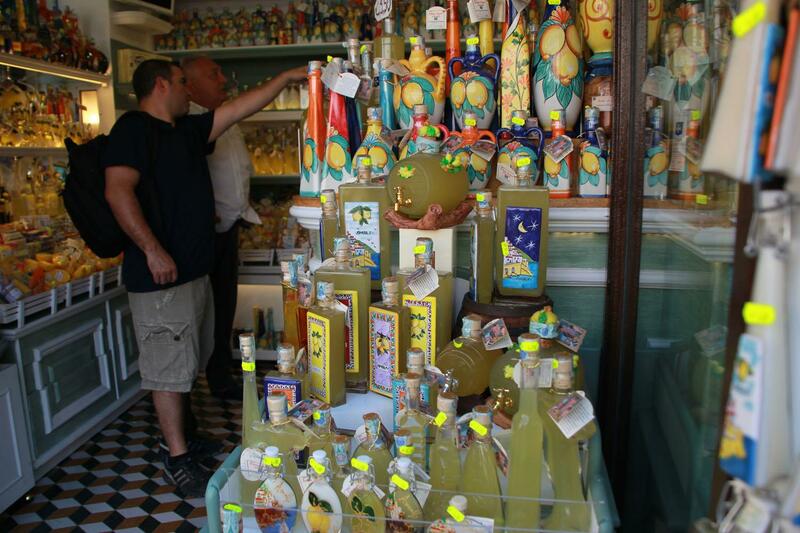 In the town of Amalfi, visit the romantic "Paradise Cloister", enjoy a tasting of the world famous Limoncello drink at a celebrated local producer of Amalfi's noted drink, and take a stroll around the labyrinth of back alleys that make up this quintessential Amalfi Coast town in the company of your licensed expert guide. Please specify in the booking where you want to start the tour: Naples or Sorrento.